Household chores can be tedious and exhausting tasks, especially if you often find yourself busy with other things in your life like work. Here, we have five easy tricks you can use to do your chores as efficiently as possible. Instead of letting your clothes hang fresh out of the washing machine and waiting until they are completely dry before ironing them, hang them until they are slightly damp or spin dry them in the washing machine and then iron your clothes. 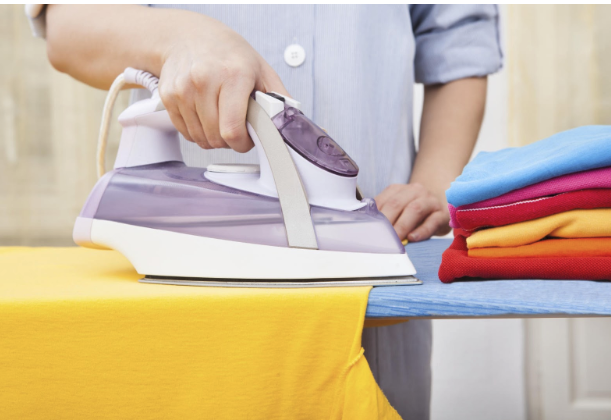 Letting your clothes dry entirely before ironing them allows the creases to set in and makes smoothing out the wrinkles a much longer and more tedious process. By ironing your clothes when they’re slightly damp, creases and wrinkles are more easily smoothened out while the process of ironing also dry your clothes somewhat, although you should still hang them out afterwards to thoroughly air-dry. 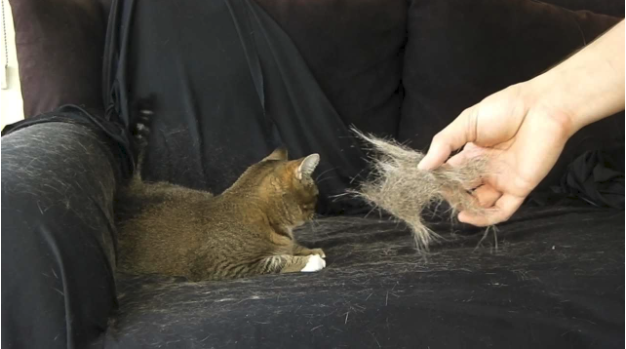 For those of you who own furry pets like dogs or cats, the fur that they leave behind everywhere can be an eyesore and a significant discomfort when your sofa or chair is covered in it. Instead of removing them individually or brushing them to fly away elsewhere, put on a pair of rubber gloves and rinse them in water. Then, rub your hands across the target surfaces, and the fur should stick to the gloves like iron to a magnet. After your gloves have collected an ample amount of fur, dip them into a bucket of water and watch as the fur quickly floats to the surface of the water. Dishwashing can be one of the most tedious chores that have to be done practically daily or every time you cook at home. It consumes much water and can take up a decent amount of time, resulting in wrinkly and dirty-feeling hands and fingers. To streamline this process, fill an appropriately sized tub with hot or warm water and soap before you start washing. Then, fit all of your dirty dishes inside and place the tub next to your sink. Remove the dishes one by one and rinse and scrub accordingly under the running tap. 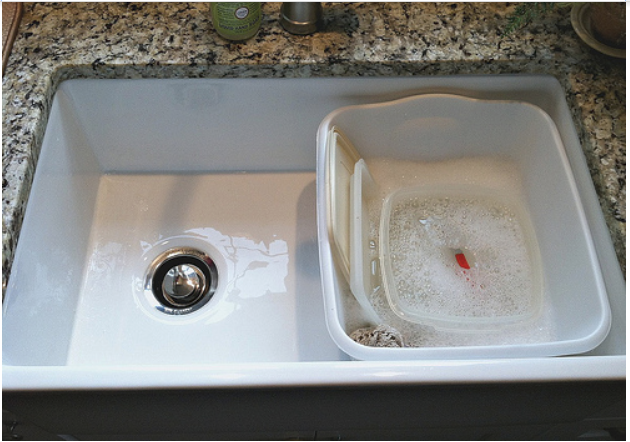 Submerging the dishes in hot or warm soapy water makes removing stains significantly easier while ensuring that your sink isn’t clustered with dirty dishes and the minimum amount of water is used. Microwaving, one of the most convenient and easiest methods to prepare food for your meals can result in a not-so-easy scrubbing session to remove hard and crusty stains. Instead of tiring yourself out with hard scrubbing, fill a microwavable bowl with some water and two or three tablespoons of vinegar. Microwave the bowl until the water starts boiling and then turn off the heat and leave it to cool for a bit, so you don’t accidentally burn yourself. Afterwards, remove the bowl of vinegar water and proceed to wipe away at the stains inside with a cloth. The steam from the mixture softens the stubborn stains and removing them becomes as easy as wiping them away. 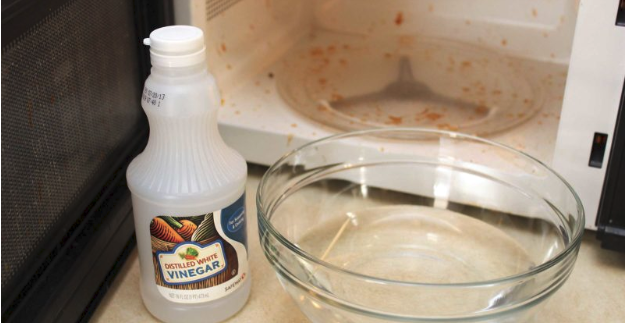 Vinegar isn’t only useful for cleaning microwaves. 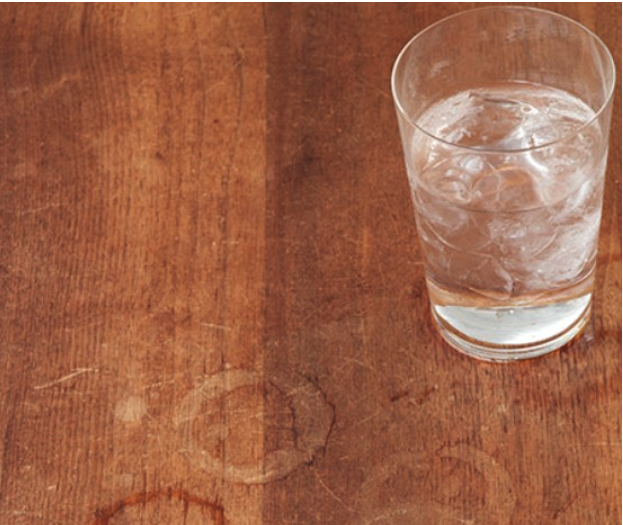 To remove the stubborn stains left by liquids on your beautiful wooden furniture, dip a cloth in a mixture with equal amounts of vinegar and olive oil. Thoroughly wipe the affected areas of the wood. Then, use another clean cloth to wipe away the residue and voila, your wooden furniture is restored to its prime condition.